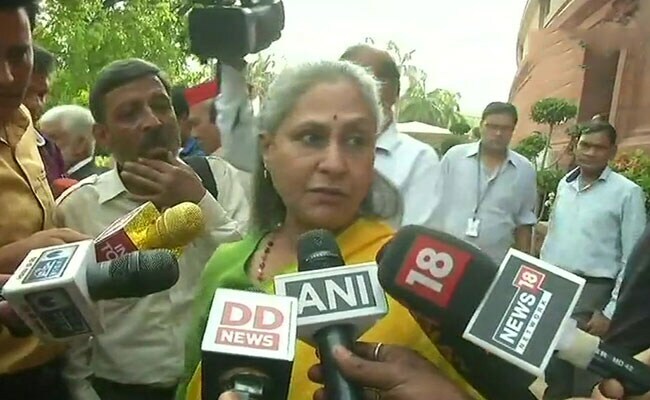 New Delhi: Veteran actor Jaya Bachchan, who took oath for her second stint as Member of Parliament in the Rajya Sabha, is sad over Salman Khan being sent to jail in the blackbuck poaching case. "The law is taking its course," said Ms Bachchan, while mentioning that the actor has also "done a lot of good work." 52-year-old Salman Khan was sentenced to 5-year jail term in the blackbuck poaching case of 1998. A court in Jodhpur will hear his bail application on Friday. One of the three Bollywood Khans, the actor has nearly Rs 600 crore riding on him say film industry analysts, and the verdict will affect at least three big projects. Mr Khan's current film 'Race 3', is scheduled for an Eid release. 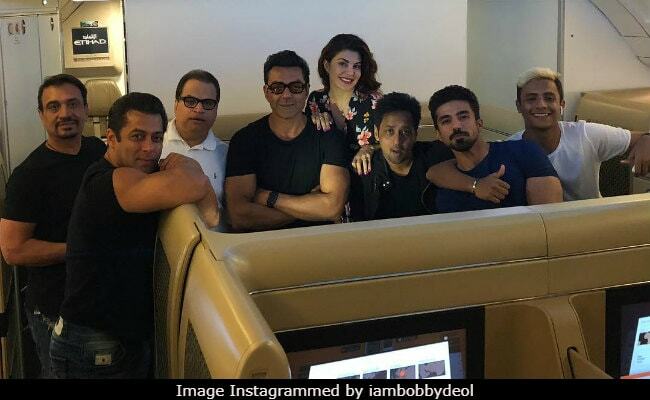 "Whatever is left of 'Race 3' will have to be completed soon because the film is releasing in June. 'Kick 2', 'Dabangg 3' and 'Bharat' were yet to start so there isn't much monetary loss but projects will be delayed. It is a huge loss to the industry as he is a big star who guarantees big success," trade analyst Komal Nahta told news agency PTI. "Race 3' has Rs 125-150 crore riding on it...He has not started any other film so it isn't that films will be stuck... He may have planned it like that knowing that April 5 is the date of the judgement," Mr Nahta added. Another trade analyst Girish Wankhede said it is a big blow to the industry as Salman Khan's films has been a money spinner with back-to-back blockbusters to his credit. His last film 'Tiger Zinda Hai' made Rs 300 crore at the box office and trade insiders believe that besides the films, the actor's endorsements and TV appearances will also be negatively affected.